The current iteration of my home lab includes three Intel NUC DCCP847DYE systems, each with a single dual-core CPU and 16GB of RAM. 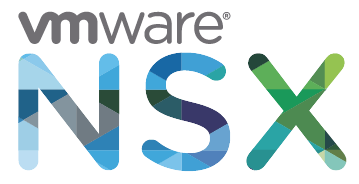 As I started to venture down the path of introducing VMware NSX into the lab, the limitations of these systems when deploying a cluster of NSX controllers became apparent. The default size that NSX Manager uses for an NSX Controller (when deploying a controller through the Web Client) is a medium-sized VM (4 vCPU, 4GB RAM). The deployment of the VM was always successful, but the workflow failed when the system went to power on the new NSX Controller. At first, I thought that meant I was stuck, but after a conversation with a co-worker he mentioned using the API to deploy a smaller-sized VM. After leaving it be for a few weeks, I got back to the deployment this week — I also happen to be taking the ICM course for NSX as well — so the timing was right. A quick Google search for the NSX 6.2 API guide turned up the necessary documentation. The interesting pieces here are lines 4-8 and line 9. Chris Wahl had a good post that provided some guidance on the process as well — that I recommend reading — from about 18 months ago. The biggest challenge was using the MOB to determine the object names for the <resourcePoolId>, <hostId>, <datastoreId> and <networkId>. If you are unfamiliar with the MOB, access to it is granted via the /mob URL for your vCenter Server (i.e. https://vcenter.local.domain/mob). The other interesting piece I learned (and Tweeted about) was the identifier for the IP Address Pool has been changed since the API guide was written. The string used for the <ipPoolId> is ipaddresspool-X, where X is an integer starting at the value of 1. So in the case of my environment, I only have a single IP Address Pool created, so the correct value to use was ipaddresspool-1. Watching the Response Body window, after the call is successful, a job number will be displayed. It will look something like jobdata-713. The job number can be used to monitor the progress of the deployment through the API as well. You can use the same XML code in the API call over and over again for NSX to create additional NSX Controller VMs. It will assign a unique identifier to each one and pull IP Addresses for each one from the pool you specified in the XML payload. Progress can also be monitored through the vSphere Web Client. Once the deployment is complete, the Networking and Security UI will show the new NSX Controller(s). Being able to use the API to deploy the NSX Controllers was a great way to get it working in the limited lab environment my Intel NUCs are currently providing. If you found this post helpful, please let me know over Twitter (@chrismutchler).